Thanks a million! Black Fly Blitz a great success! 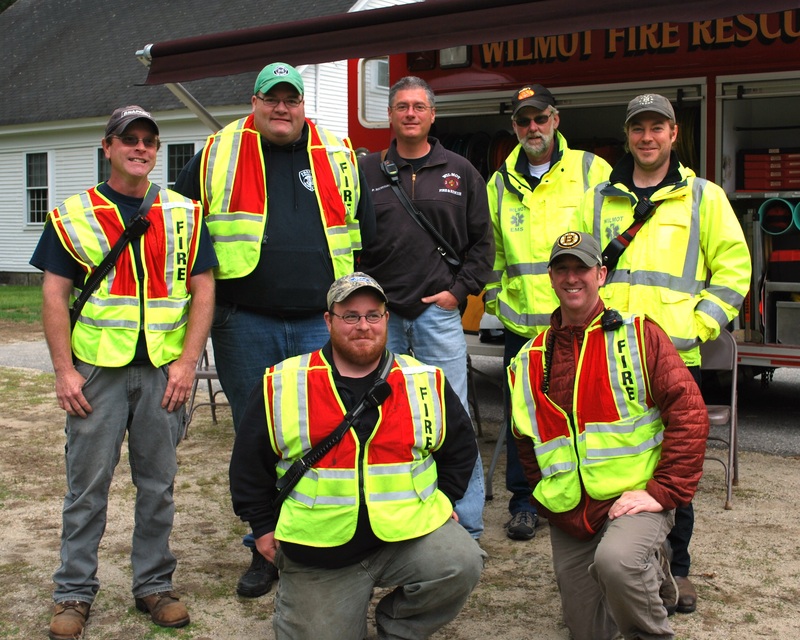 Thanks to the work of more than 40 volunteers, the Wilmot Community Association’s (WCA) 13th annual Black Fly Blitz on Memorial Day – Monday, May 29 – was a resounding success. Proceeds from the Black Fly Blitz support the WCA, which owns and operates the WCA’s Red Barn, a community center, and Timothy Patten Park, a beach and playground. 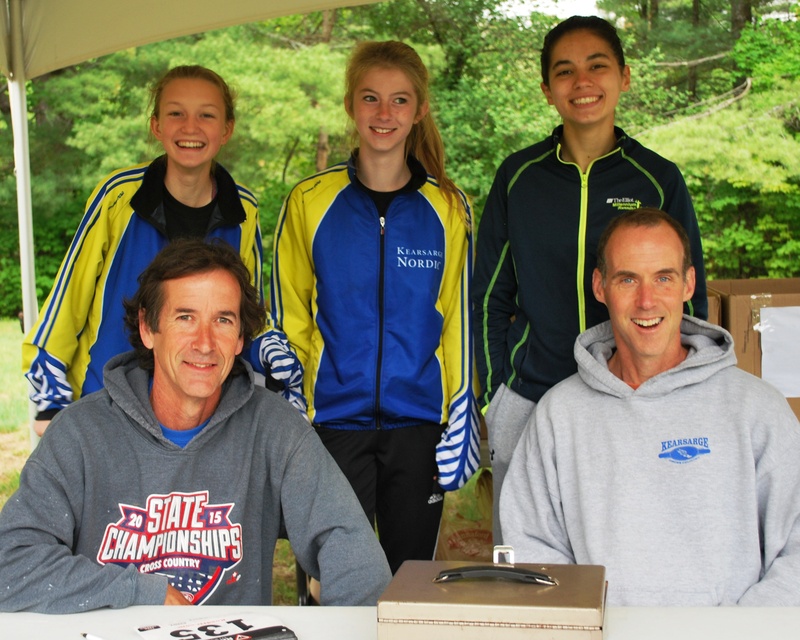 The track and cross-country teams at Kearsarge Regional High School (KRHS) receive a portion of the race proceeds. Several members of the KRHS track and cross-country teams and their coaches assisted with the race. They included: Marliese Baer, Jenna Bears, Mya Dube, Kasey Lipscomb, Trevor Pauling, Avril Prak and David Wallace. KRHS coaches, staff and parents assisting with the event included Peter Angus, Ernie Brake, Brian Pauling and Ed Rehor. 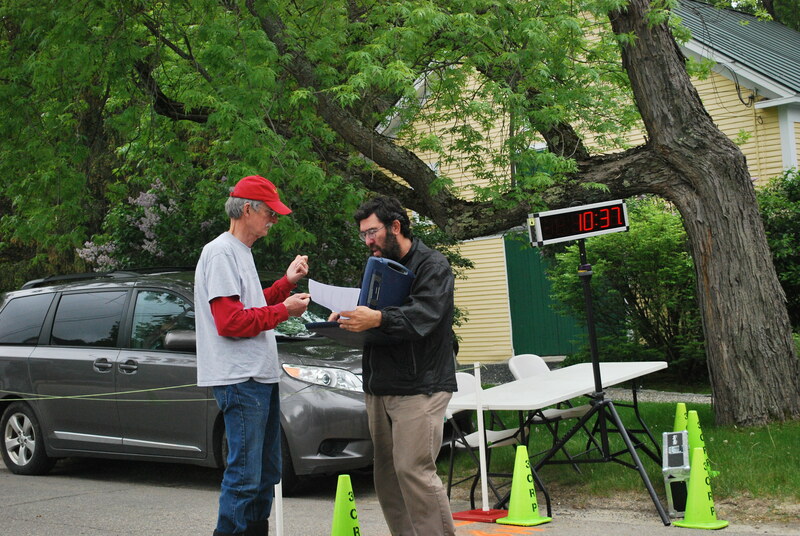 David Zuger, Wilmot police chief, led the nearly 170 runners on course in a police cruiser. Nola Aldrich was the honorary starter. Members of the Wilmot Volunteer Fire Department’s FAST Squad including Ethan Ballan, CJ Brim, Sean Brunel, Scott Carpenter, Storm Connor, Dave Herr, Jonathan Jusczyk, Philip Nicholson and Darren Phipps and were on hand to assist with any medical emergencies. The Wilmot Ladies Aid Society loaned their tables. The Wilmot Highway Department provided road barricades to ensure participants’ safety at intersections along the course. Janet Baker, Sondra Brake, Lisah Carpenter, Kimberlee Esposito, Mary Kulacz, Margaret Monto, Jan Sahler, Rachel Seamans and De Segerson baked cookies and provided other foods for the people who participated in the race. Bill Burris set up his wonderful handmade games. He was ably assisted by Adam Glass. Rosanna Eubank-Long applied temporary tattoos – in a black fly motif – to the delight of lots of children and adults. Other volunteers included: Jenny Santora, Molly Santora, Will Santora, Jim Santora, Keith Seamans, Trudy Philbrick-Brake and Nancy Large. Marc Davis assisted with sponsor recruitment. 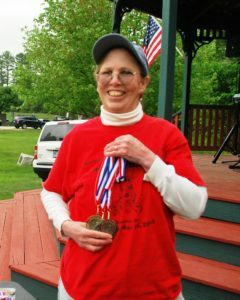 Susan Nye photographed the event. Ensuring the financial success of the Black Fly Blitz were the 51 race sponsors. Ledyard Bank, Rayno Construction LLC and Rymes Propane & Oil contributed at the super platinum level. Platinum sponsors included Echo Communications, Gutgsell & Phipps Dentistry, InterTown Record, Kearsarge Property & Landscape Services Inc. and Lakes Region Tent and Event. Sponsors at the gold level were: A Cut Above Tree Service, Charter Trust Co., Colonial Pharmacy, FloorCraft, Huckleberry Propane & Oil, Jewell Box Storage, Northeast Delta Dental, Perkins Landscaping, Pizza Chef of Andover, Pleasant Acres LLC, Scott Carpenter Construction, Tom Conway Tree Service and Walker Automotive Inc.
Silver sponsors included Barton Insurance Agency, Belletetes Inc., C.A. Miller Plumbing & Heating, Chadwick Funeral & Cremation Service LLC, Cherry Pond Fine Furniture, Clarke’s Hardware, Colby Insurance Group, Cornelio Law Offices, Frank Anzalone Associates, Hubert’s of New London, Kearsarge Veterinary Clinic PPLC, Lake Sunapee Bank, Marathon Landscaping, Marshall’s Garage, Philip Nicholson Builder, Road ID, Spring Ledge Farm, Sugar River Bank, the Terhune Family and Woods Without Gile LLC. Sponsors at the bronze level were Better Homes & Gardens Milestone Real Estate, Connie’s Classic Coverups, Dr. Donna Reed PPLC, Hannaford, New London, Joan Marie’s Beauty Boutique, McCrillis & Eldredge, Morgan Hill Bookstore and Pleasant Lake Veterinary Hospital. This entry was posted in WCA Events, WCA Fundraising, WCA News, Wilmot and tagged 5K, 5K road race, 5K run, 5K walk, Black Fly Blitz by admin. Bookmark the permalink.